22nd November (Friday) at 7 pm we invite you to the film screening : “ Jan Świdziński. In The Contextof Art”. The Arton foundation undertook the coverage of publishing the art of Świdziński. 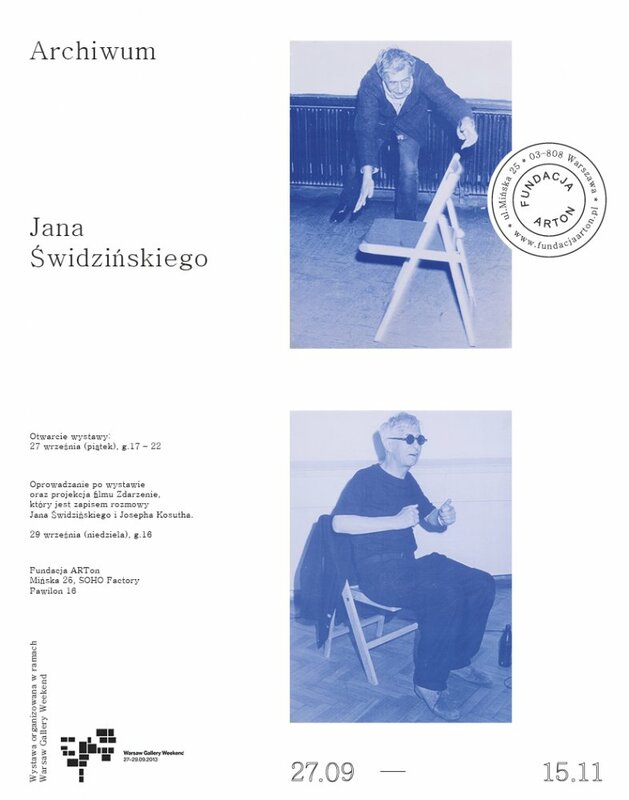 The art work, catalogues, exhibitions of the artist and the expositions organized by him, several notes on art theory, letters and other documents formed a private archive preserved for several decades in the artists home and work studio in Warsaw in Waryńskiego street. The film “Jan Świdziński. In The Context of Art” is an attempt of portraying the artist who during the last four decades has been one of the most important theorists of art and initiator of the polish independent art scene. The director of the painting Piotr Weychert was made with the collaboration of Jan Świdziński and consists of documentary elements as well as short film forms that were made in the present times and were based on the unpublished screenplays of the artist. 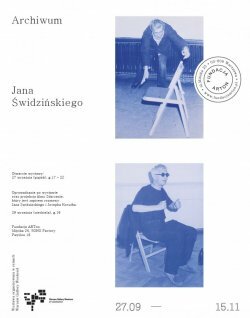 It is at the same time a catalogue of Świdziński’s statements that were combined with: texts, photographs, performance art that were recorded and aimed for this production during the last two decades. 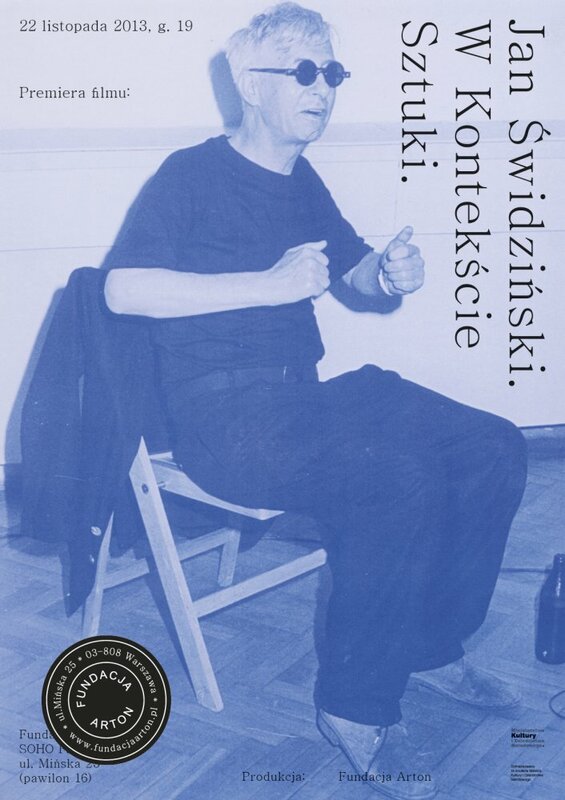 Świdziński is popular mainly as one the author of the theory of contextual art written in 1975. His assumptions were the prime reason of his conversation with the artist Joseph Kosuthe, which took place in 2007 in Rome. Fragments of this discussion are an important element of the film portrait of the polish artist. Richard Martel commented in front of the camera on Świdziński’s work, the coordinator of the Centre Of Modern Art Le Lieu in Quebeck, performing arts, art theory and publisher. Texts such as Art as Contextual Art (Lund, Sweden 1976) Art, Society, Society and Self-consciousness(Calgary, Canada 1979) can be found by the painting and happened to be decisive to many artists that are not part of the main art stream in Poland and abroad. Edits from his environment were used in the film. Also a conference “ Art used in the context of reality” ( Remont Gallery, 1977) was used with several artists and theorists from 35 countries and the Performing and Interacting Arts Festival in Piotrków Trybunalski.